Kapitänleutnant Hellmuth von Mücke brought the landing party of the German Light cruiser ‘Emden’ to Constantinople where they were received by Admiral Souchon. They had sailed across the Indian Ocean, evading the Royal Navy, survived Turkish double-dealing and fought off Arab brigands in a battle in the desert. Yemen: SS Choising (with 50 survivors of German Light cruiser Emden) calls at Hodeida to ask GOC Turk 40th Division best way home. They reach Constantinople on June 1, 1915. British War Council memo to Field Marshal French to consider possibility of stalemate and eventuality of seeking decision in fresh theatre. Aisne: ­Germans shell Soissons Cathedral and counter-attack unsuccessfully near city. Britain: British reply to US note of December 26, 1914 published (sent on January 7): Copper reaching Germany via neutrals; limited rubber exports to USA granted. Austria: Foreign MInister Berchtold diary after audience ‘Emperor [Francis Joseph] again complains greatly about the Germans …’. Germany: Falkenhayn attends gas shell tests southeast of Cologne. 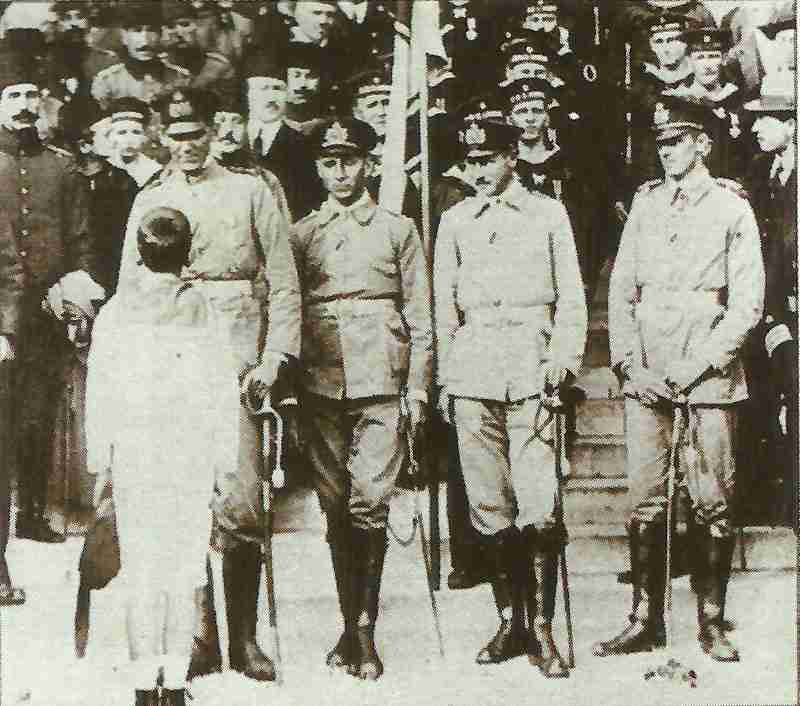 Britain: King and Queen visit Indian wounded at Brighton (1st Indian Victoria Cross bestowed on January 26).